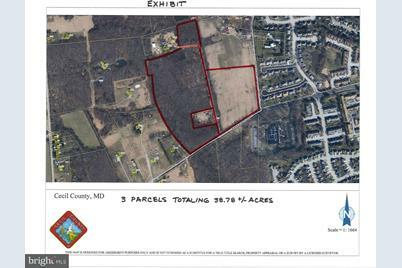 Lovely 38 +/- acre unimproved tract of land approximately 1/4 of a mile from Newark,DE, yet situated in a pristine setting of Cecil County, Maryland, not far from Fair Hill. The property could make an outstanding horse farm, or could be developed as both public sewer and water are nearby. Partially wooded, with considerable open rolling fields, the property lends itself to multiple uses. A Must See. The property is comprised of 3 parcels, to be sold as the entirety, Tax ID#'s 0804022483, 0804013042, 0804016548. Driving Directions: From Newark, DE, west on Barksdale Rd. to the intersection of Valley Rd., on the right. From Appleton Rd., east on Barksdale Rd. to Valley Rd. 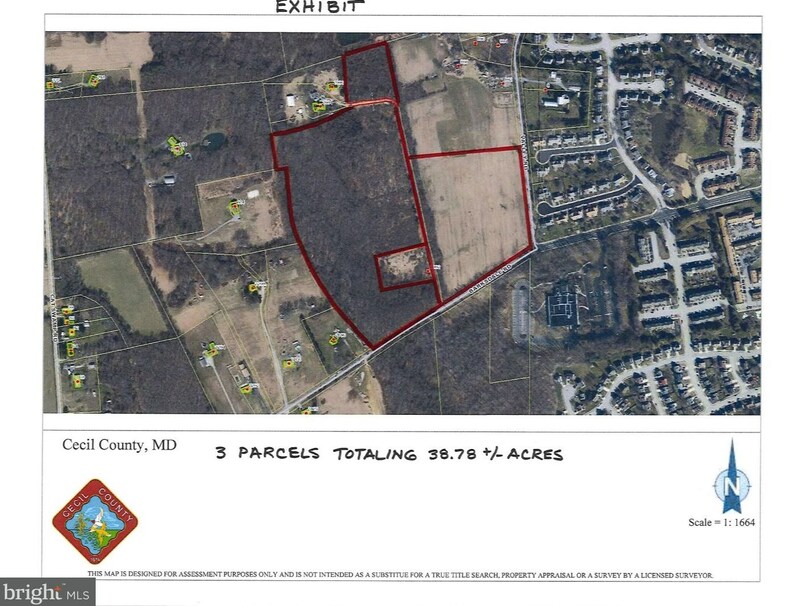 2002 Barksdale Road, Elkton, MD 21921 (MLS# 1001612436) is a Lots/Land property with a lot size of 38.78 acres. 2002 Barksdale Road is currently listed for $1,163,400 and was received on May 08, 2018. Want to learn more about 2002 Barksdale Road? 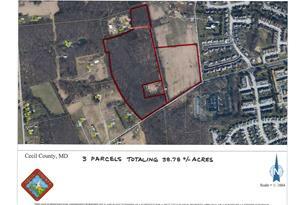 Do you have questions about finding other Lots/Land real estate for sale in Elkton? You can browse all Elkton real estate or contact a Coldwell Banker agent to request more information.